DMC Aesthetics strives to ensure that the information contained in this Site is accurate and reliable, DMC Aesthetics makes no warranties or representations as to the accuracy, correctness, reliability or otherwise with respect to such information, and assumes no liability or responsibility for any omissions or errors in the content of this Site. 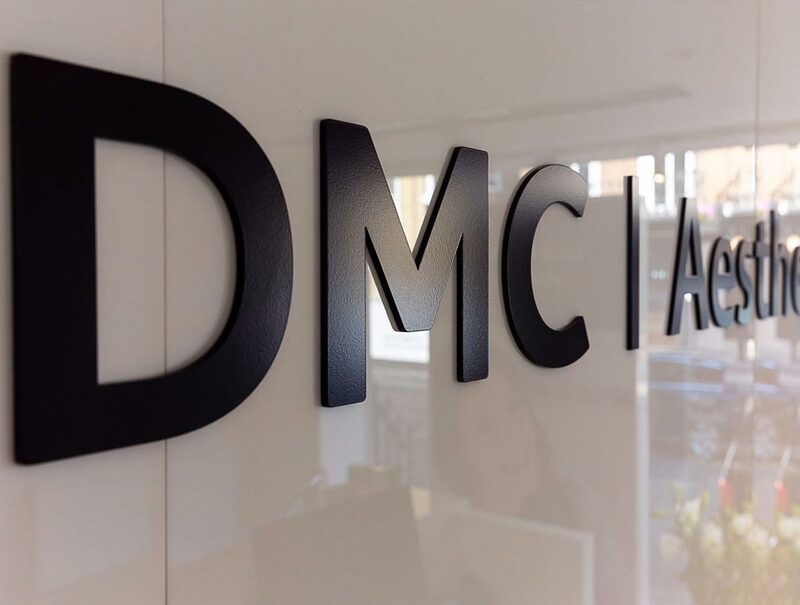 DMC Aesthetics will periodically revise the information, services and resources contained in this Site and reserves the right to make such changes without any obligation to notify past, current or prospective visitors. You may download content for non-commercial, personal use only, provided copyright, trademark or other proprietary notices remain unchanged and visible. No right, title or interest in any downloaded materials is transferred to you as a result of any such downloading or copying. You agree that you will not otherwise copy, modify, alter, display, distribute, sell, broadcast or transmit any material on the Site in any manner without the written permission of DMC Aesthetics. DMC Aesthetics does not accept or consider any creative ideas, suggestions or materials from the public (“Submissions”), therefore, you should not make any Submissions to DMC Aesthetics. If you do send us a Submission, despite our request not to do so, then such Submission will be considered non-confidential and non-proprietary and shall immediately become the property of DMC Aesthetics. DMC Aesthetics shall exclusively now and hereinafter own all rights, title and interest therein. DMC Aesthetics will be free to use any Submissions for any purpose whatsoever. The website is provided on an “as is” basis. DMC Aesthetics expressly disclaims all warranties, including the warranties of merchantability, fitness for a particular purpose and non-infringement. DMC Aesthetics disclaims all responsibility for any loss, injury, claim, liability or damage of any kind resulting from, arising out of or any way related to (A) any errrors in or omissions from this website and the content, including but not limited to technical inaccuracies and typographical errors, (B) any third party web sites or content thereing directly or indirectly accessed trough links in this website, including but not limited to any errors in or omissions therefrom, (C) the unavailability of the website or any portion thereof, (D) your use of this website or (E) your use of any equipment or software in connection with the website. In no event and under no legal or equitable theory, whether in tort, contract, strict liability or otherwise, shall DMC Aesthetics be liable for any direct, indirect, special, incidental or consequential damages arising out of any use of the information contained herein, including, without limitation, damages for lost profits, loss of goodwill, loss of data, work stoppage, accuracy of results, or computer failure or malfunction. You agree to defend, indemnify and hold DMC Aesthetics harmless from and against any and all claims, damages, costs and expenses, including attorney’s fees, arising from and related to your use of the Site. Unless otherwise noted, the graphic images, buttons and text contained in this Site are the exclusive property of DMC Aesthetics and its subsidiaries. Except for personal use, these items may not be copied, distributed, displayed, reproduced, or transmitted, in any form or by any means, electronic, mechanical, photocopying, recording, or otherwise without prior written permission of DMC Aesthetics. This Site features logos, brand identities and other trademarks and service marks (collectively, the “Marks”) that are the property of DMC Aesthetics. Nothing contained on this Site should be construed as granting, by implication, estoppel, or otherwise, any license or right to use any Mark displayed on this Site without written permission of DMC Aesthetics or any such third party that may own a Mark displayed on the Site. As a convenience to users, this Site may link to other sites owned and operated by third parties and not maintained by DMC Aesthetics. DMC Aesthetics has no control over these linked sites, all of which have separate privacy and data collection practices and legal policies independent of DMC Aesthetics. DMC Aesthetics is not responsible for the contents of any linked sites and does not make any representations regarding the content or accuracy of material on such sites. Viewing such third party sites is entirely at your own risk. These terms and conditions are governed by and construed in accordance with the laws of London, England and you irrevocably submit to the exclusive jurisdiction and the laws of London, England.